We have found our most exhilarating travel experiences happen when least expected; crossing paths with people or places that set our imaginations on fire. Such was the case when, on a recent coastal camping trip, we headed inland to escape the fog. On a whim and armed with travel literature collected from Turtle Rock RV resort, we headed east on Highway 33 outside of Gold Beach. Our destination? The village of Agness, described as a “quaint hideaway, isolated but accessible.” Hmmm…. The Old Agness Store welcomes all who venture up the road. Breakfast, lunch and a variety of refreshments are offered. The gift shop is filled with crafts and wares made in Oregon. 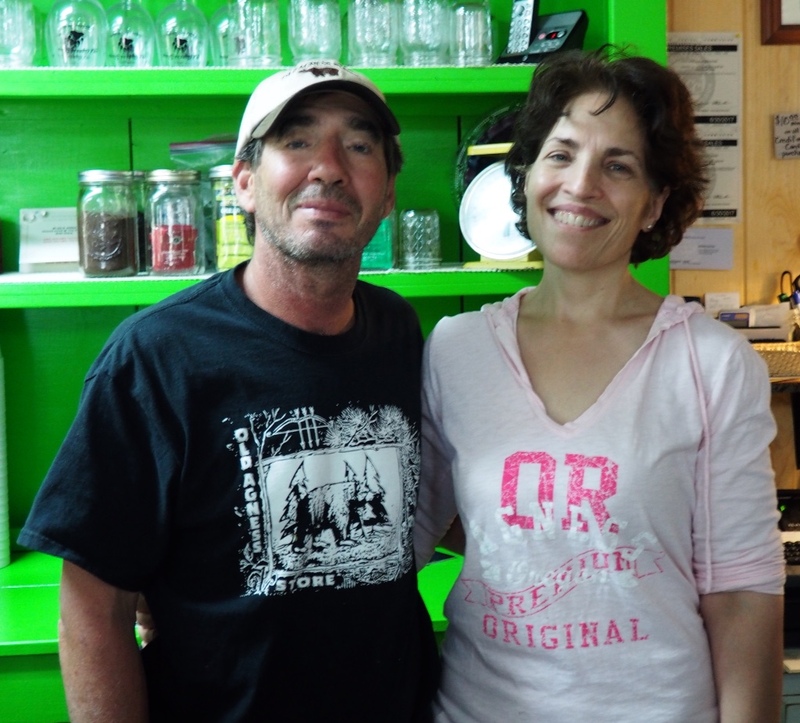 Present owners, Steve and Michele bought the store in 2013. Extensive renovations created a new life for both the store and its owners. The drive was beautiful, winding along above the Rogue River, up into the sunshine. A rich local history dates back to the Native Americans who inhabited the area long before white settlers arrived. The Agness Post Office remains one of only two rural mail boat routes still operating in the U.S. The original store dates back to 1895 and supplied miners during the Gold Rush. Over the years the store has hosted a variety of owners, all of whom must have enjoyed a large dose of the pioneering spirit. 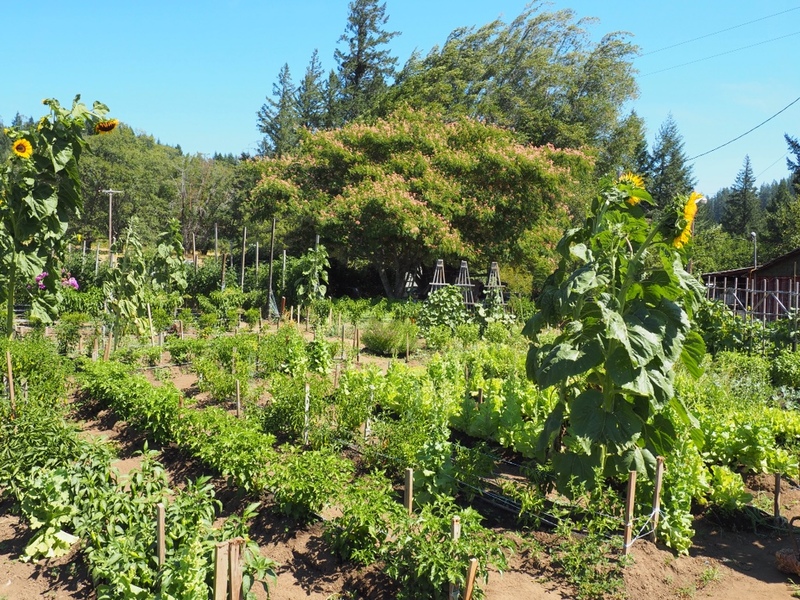 Steve encouraged us to wander through his vegetable garden. It was beautiful! 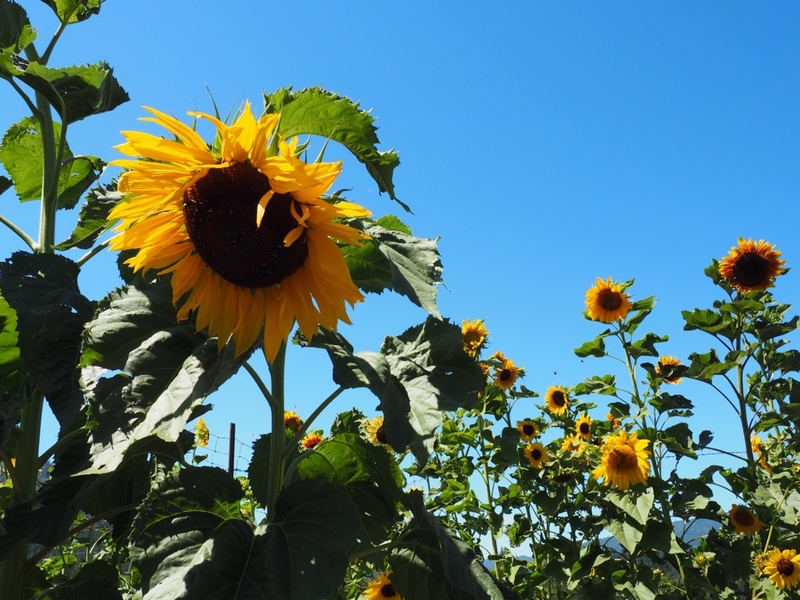 Sunflowers towered over our heads, standing out against the blue of the sky. 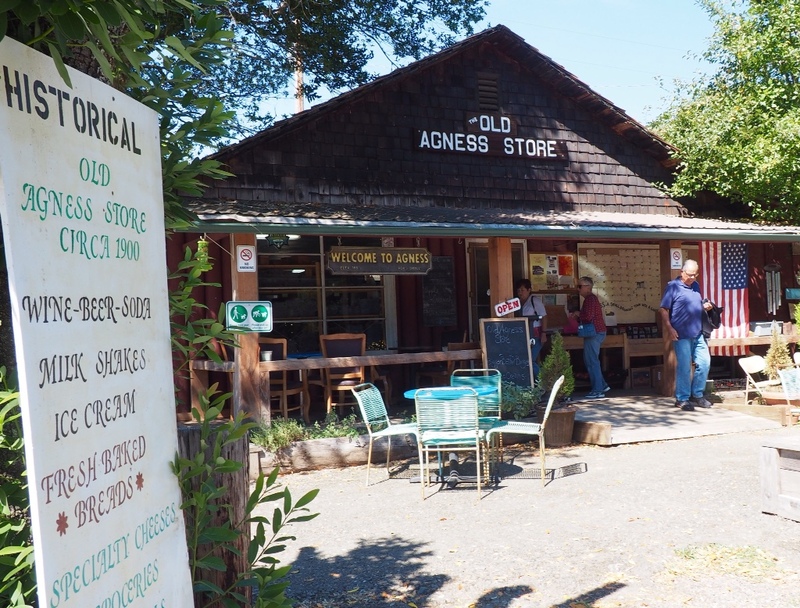 The Old Agness Store is home to the Agness Tomato Festival, a celebration of the tomato and the eat fresh and local philosophy. We missed the festival by just a few days, but by all accounts, it was a smashing success. Watch for its return in 2017. 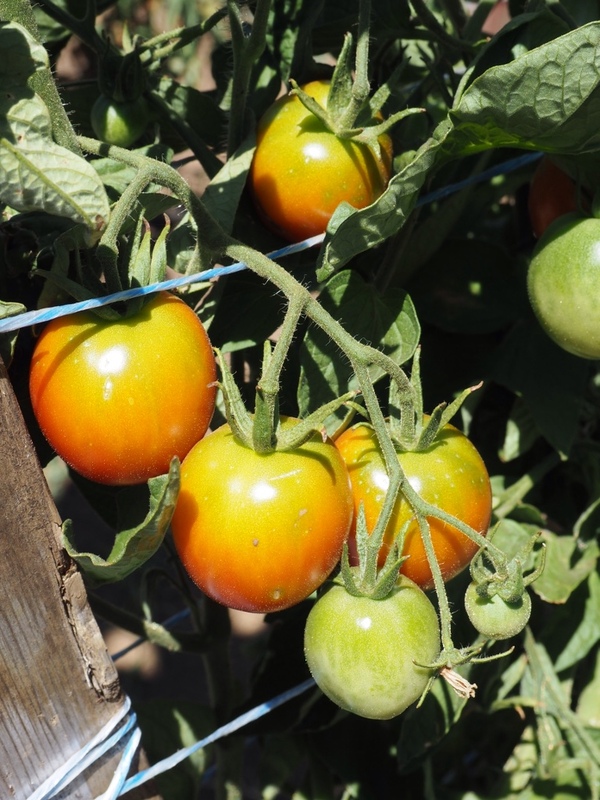 The festival may have come and gone, but tomatoes continue to ripen on the vine. Much to our surprise, we discovered an airstrip in Agness. As the sign warns, it crosses the road, so be sure to look both ways! Pluc, it sounds like you had a good time and enjoyed ur time away from home. 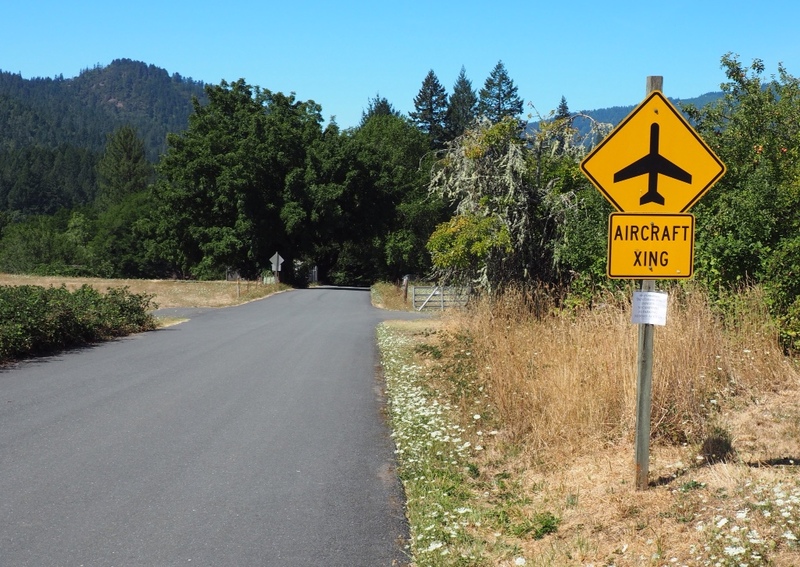 I think there is a trail from Gold Beach to the Oregon interior. Trekking? What a fun trip for students! Yes, there is a trail along the Rogue River from Grants Pass (I think) all the way to Gold Beach…and yes, we have discussed it! Andy and i have been to Agness. We took the boat trip every time we drove to see Betty and Paul. I probably bought something at that store and it most likely was a sweat shirt with local scenes. I had quite a collection from our travels when I was still teaching. The Coastal route was my favorite of all favorites. So glad we could bring back some great memories, Carolyn! It is a special place, and we shall return. A smashing success of tomatoes could be quite messy! I suppose so…but in a good way!